She was christened on 6 September 1822 in St Sidwell's Church, Exeter, Devon, England . Amelia emigrated on 21 April 1843 from England to South Australia on the "Madras" from Plymouth via Swan River, WA, arriving in Port Adelaide on 12 Sep 1843. The oldest resident of Wilmington (Mrs. Thomas Brandon, sen.) attained the ninety-third anniversary of her birth on Monday last. She was born at Exeter, Devonshire, England. Mrs. Brandon (nee Miss Ameiia Vosper) comes from an old family, which claims to be able to trace its ancestry back to the time of William the Conqueror. She came to South Australia in 1843, with a brother, Mr. John Angas, in the ship Madras. She was married to Mr. Thomas Brandon in 1846. Mr. Brandon, who was highly esteemed, passed away in September, 1901, five years after the celebration of his golden wedding. Mt. and Mrs. Brandon had a family of eoght children— four sons and four daughters, of whom Messrs, Samuel and Thomas Brandon, and Mesdames Hearn (Evandale), Thomas Slee (Wilmington), and C. Kroemer, survive. There are also 35 grand children and 44 great-grandchildren. A sister of Mrs. Brandon is Mrs. A. M. Mit chell, of Torrens road, Ovingham. He was christened on 12 May 1825 in St Sidwell's Church, Exeter, Devon, England . Annie Marion Vosper was born in 1840 in St Sidwell's Church, Exeter, Devon, England , daughter of William Vosper and Elizabeth Gowman. Annie Marion Vosper appeared on the census on 6 June 1841, in the household of William Vosper in 6 St Sidwell's Terrace, Exeter, Devon, England , age 1.1 Annie Marion Vosper was christened in 1842 in St Sidwell's Church, Exeter, Devon, England . 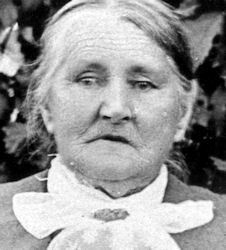 Following her mother's death in the second half of 1861, Annie decided to join her sisters and she emigrated to South Australia in 1865. On 1 December 1866, Annie, married Henry Mitchell, son of George Mitchell, in Wesleyan Jubilee Church in Kent Town, South Australia . 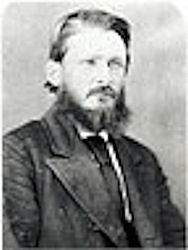 The witnesses were Thomas W. Patterson, Shoe Maker, Kent Ter., Norwood and E. A. Patterson, Norwood. [S208] Assisted and Unassisted Passenger Lists, 1839–1923, online ancestry.com.au. 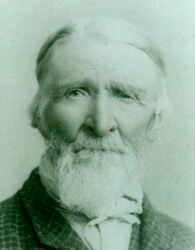 Thomas Brandon was born about 1816, son of Thomas Brandon and Mary (?). 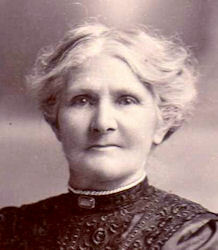 Cecilia Vosper Brandon was born on 17 September 1847 in Adelaide, South Australia , daughter of Thomas Brandon and Amelia Vosper. Henry Brandon was born on 17 September 1851 in South Australia , son of Thomas Brandon and Amelia Vosper.